The Brio Trio three piece system (two semi-open-baffle monitors and one sub-woofer) was something I wrote about as a static display during my visit to Denver in Fall of 2018 at Rocky Mountain Audiofest that year for our sister site PartTimeAudiophile. 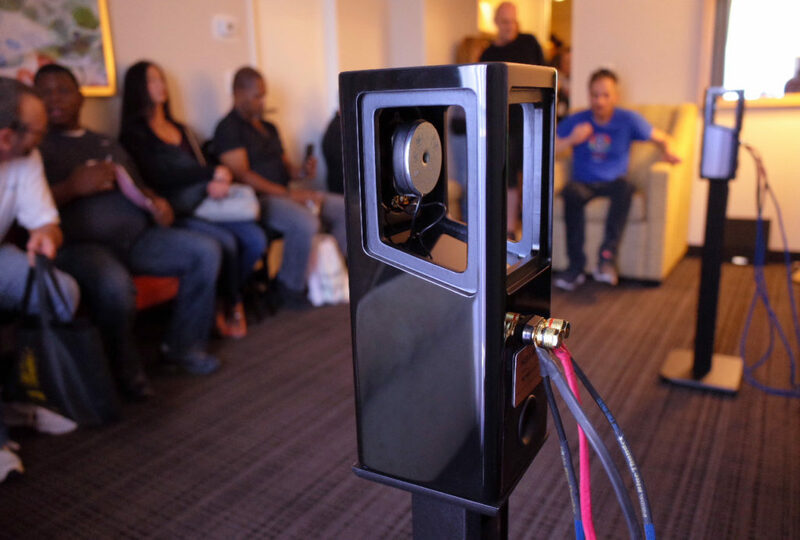 It is almost impossible to visit every room at an audio show. To do so would require running shoes, twenty-something knees, and a stopwatch for limiting your listening window to only two minutes. Now with my excuses firmly in place, I want to take the opportunity to mention, that before this day at Rocky Mountain Audio Fest in 2018, I had not reserved the requisite time to dedicate myself to in-action and listen to Nola speakers. 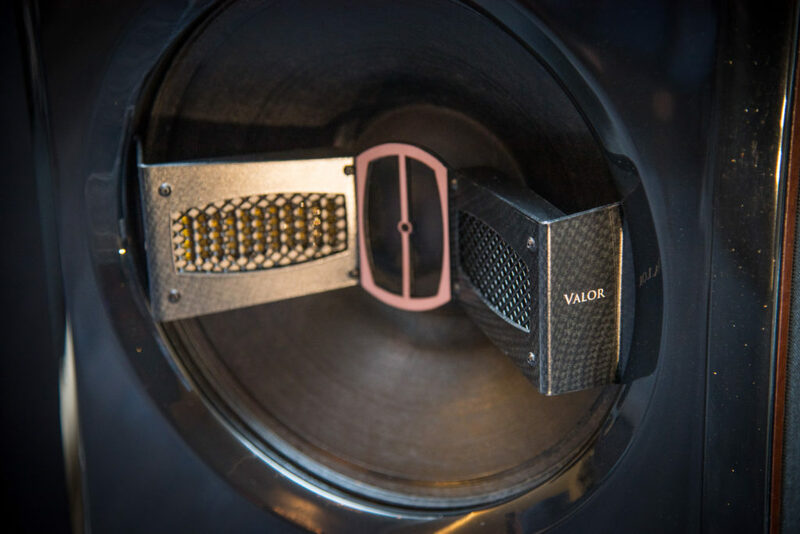 This year dawned with plenty of questions facing the high-end audio industry. The most pressing were: Would the U.S. economy hold up, allowing manufacturers and retailers to stay afloat? Would vinyl continue its revival, possibly enticing young people into a hobby that’s in danger of aging out? And, would the recent growth in the show circuit create too much of a good thing? I’ve learned to allocate a little extra time when I see the Accent Speaker Technology Ltd. sign in the hallway at a show. Inside the room, I know I’m going to find a set of Nola speakers running on tubes and producing a mammoth soundstage. Once I get into the sweet-spot chair, it’s difficult to not want to luxuriate in that aural illusion for hours. Nola speakers don’t look like anything else. In my experience, hearing hundreds of different transducers at shows each year, they don’t sound like anything else, either. Visually, putting Nolas in your room is something like installing a pair of wooden, scale-model bell towers. With these speakers, the upper portion of the cabinets is open on three sides — left, right and back. Foldback Sound is a local dealer in Toronto, and he has earned himself the prize of demoing the smallest big sounding speakers! The Nola Brio Quad system features two tiny Nola satellite speakers which is just slightly bigger than a desktop computer speaker, they are designed to work with either 1 or 2 Nola subwoofers which can be placed at a mere 2″ from the back wall. When I entered the Nola/Valve Amplification Co. room at T.H.E. show in Newport, a distinctive repeating pattern of delicately plucked notes began playing. As the rhythm line continued on the acoustic guitar, suddenly there was a loud burst: “Wham-whoom-wham, wham-whoom-wham.” It could only be one person: “heavy mental” steel-string genius Michael Hedges.